Serious firepower in a small package – The AR 10 & SR25 High Capacity Magazine! 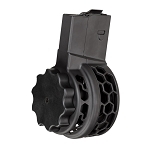 Every X Products 50 Round High Capacity Magazine feeds ammunition in a spiral using circular tracks that are CNC milled out of the front and rear of the magazine, ensuring your ammunition will never skip or jam. The X-25 is capable of up to 850 rounds per minute when attached to a full auto rifle. 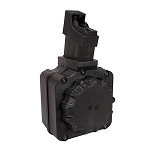 Almost all jamming or firing issues exist because of operator error. Watch our instructional videos for proper loading techniques. 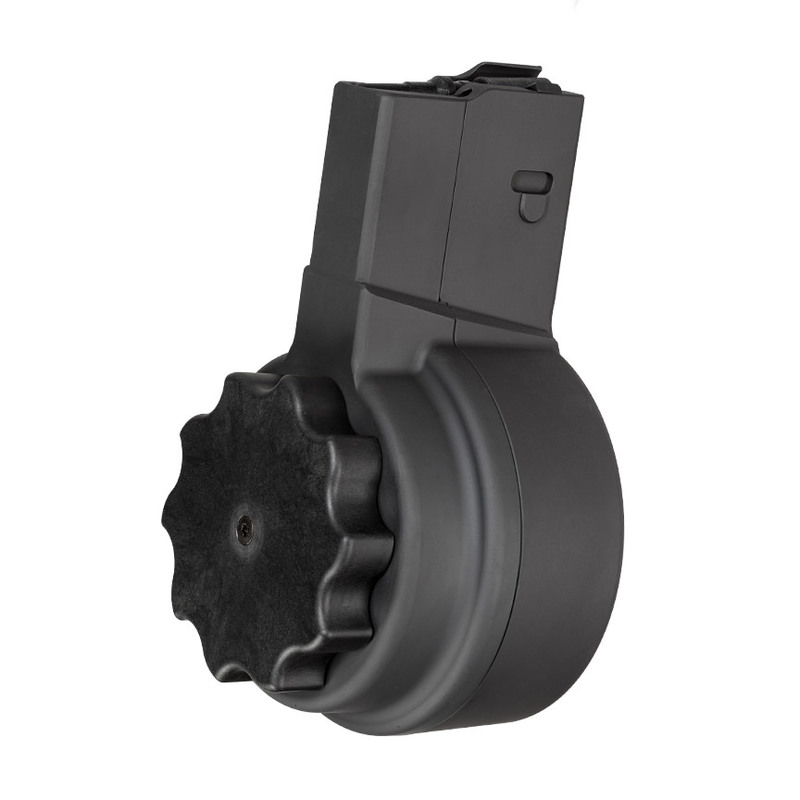 The X-25 50 Round AR 10 & SR25 High Capacity Magazine is a .308 caliber 50 round drum built of the highest grade materials to give it unparalleled function, and rigidity. Engineered using our proven coil magazine technology, which allows side by side staging of ammo in a single stack. The streamlined design allows for no separation of ammunition during function, preventing malfunctions and lending to its compact design. Our patent pending tension relief device allows the X-25 to operate nearly unlimited spring loads, allowing it to operate in weapons with capabilities 850 rounds per minute. The profile is comparable to a standard 20 round magazine. Easily loads and unloads by operating the front operating wheel. The magazine includes a lifetime warranty and instruction manual. Currently available in black, optional colors coming soon. The AR 10 & SR25 High Capacity Magazine features a solid wall of Cast Aluminum separating your ammunition from the elements. 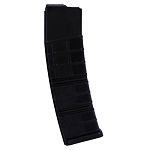 Rest assured in the knowledge that a High Capacity Magazine from X Products will keep debris out while maintaining flawless function.